Starting version 3.0, eForm supports out-of-the-box integration with MyMail Newsletter plugin. To get started, please follow the procedure. MyMail is a great plugin for sending out and managing newsletter from inside your WordPress dashboard. You can purchase it from here and install like any WordPress plugin. Like any integration, MyMail integration works on per form basis. Edit/Create the form you want to integrate with MyMail. Go to Integration > MyMail. Check the list you want the subscriber to get assigned to. 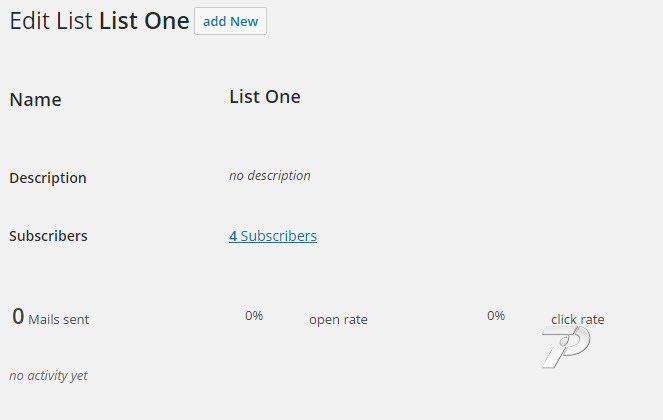 Optionally overwrite existing subscriber info (like first name, last name). Also make sure you have the Other Form Elements > Primary Email somewhere in your form. Now simply submit the form once with a non-existing email address. If everything is setup correctly, then you will see the email address being subscribed and added to the mentioned lists.